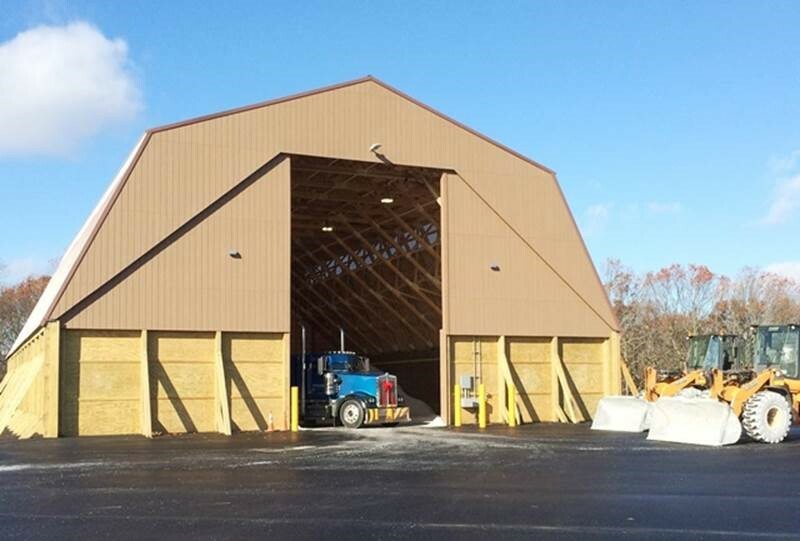 NYSDOT Salt Barn – KC Engineering and Land Surveying, P.C. KC was asked by Stantec to provide consulting services to the NYSDOT for construction of a salt shed in Hauppauge, NY. KC worked closely with Advanced Storage Technology (AST) to develop the architectural plans for the 104 x 70 foot salt storage shed, which is capable of storing up to 3,000 cubic yards of salt. KC’s NYC Office performed all of the site development while KC’s Circleville office worked closely with the architect, designed the electrical system, and wrote the specifications for the project. 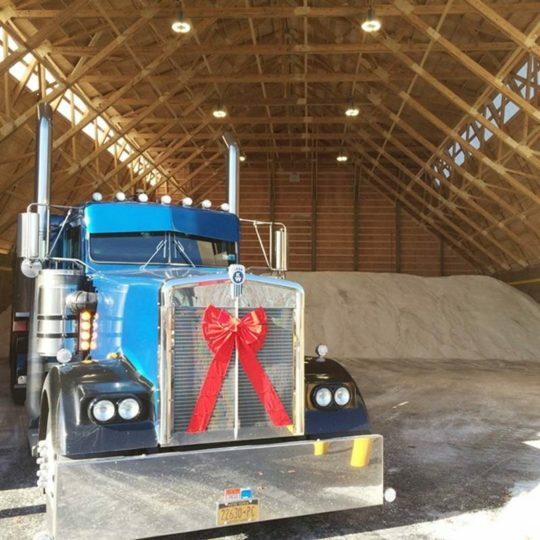 One of the requirements was that the salt shed needed to be complete by the end of November so that it could be used that winter. The project design was started in mid-July, and salt was being stored in the shed by mid-December.